Read-up on the latest news from Enable and the industry. If you have a family and are the major bread winner Enable’s IFA’s in Bishop’s Stortford agree that it is a sobering statistic that around one child in 30 loses a parent before they grow up. The grief and trauma can all too often be compounded by a loss of income causing financial crisis for the family. Luckily life insurance is widely available and one of the cheapest ways to protect your family’s finances if the unthinkable happens. But it can be easy to pay £1,000s more than you need to over the life of the policy if you are not careful so it is wise to work out if life insurance is right for you, but also how to get it the cheapest way. There are also lots of different types of life insurance to protect an array of different things some protect a mortgage others all your dependents, while some can provide a way to mitigate inheritance tax. But the main insurance every parent, partner, or person with dependent needs to consider is called ‘level term’ life insurance or assurance. With level term insurance you insure something that may happen, while you assure something that will happen. Sadly death is assured for all of us at some time, but “will you die within a set time?” is what insurance is interested in. 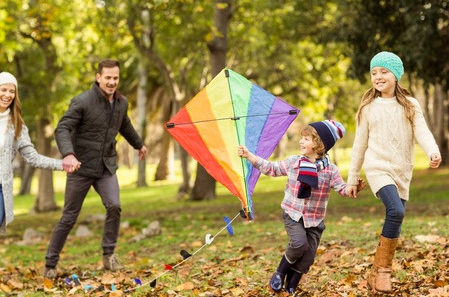 Level term life insurance pays out a set amount if you die within a fixed term and the pay-out doesn’t vary regardless of when you die during the term. If you are looking to make sure you have the right insurance Enable’s IFA’s in Bishop’s Stortford are here to help. Enable Independent Financial Life Planners is a trading style of Enable Independent Limited is authorised and regulated by the Financial Conduct Authority. It is important always to seek independent financial advice before making any decision regarding your finances. If you would like any assistance, please contact us. Enable Independent Ltd is registered in England & Wales no. 4534546. Enable Independent Ltd is authorised and regulated by the Financial Conduct Authority no. 221076. The guidance and/or advice contained in this website is subject to UK regulatory regime and is therefore restricted to consumers based in the UK. Your home may be repossessed if you do not keep up repayments on your mortgage.